It is quite common to miss the new Whatsapp features, when we are using an app day in and day out. You get notified to update the app, you update it and continue using it as you always did, without looking for new features. But did you really get something efficacious with these new updates? With WhatsApp, yes! With more than 1.2 billion users, Whatsapp is very diligent in bringing exciting features to remain in the top-list of its users. Here are some of the latest Whatspp features for the year 2018 that will blow the mind of Whatsapp lovers. You may like – 7 things happen when you block someone on whatsapp. Now group admin can decide who can modify group’s name, icon and description. 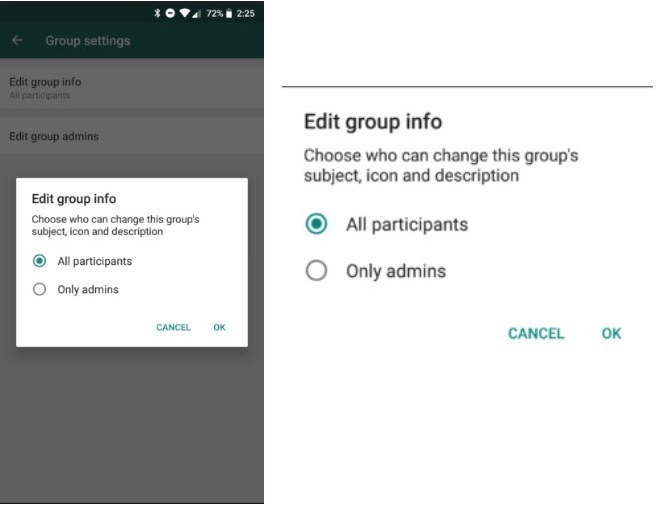 If you are group admin then you can fully restrict members from changing group details by going to “group info” > “group settings” > “edit group info”. This is a new Whatsapp feature, which can be found in the notification setting of 2.18.117+ Whatsapp version on android. With the help of this feature, users would be able to push notifications in a more effective way. High Priority Notification feature is available for both private and group chats. This feature would enable user to pin notification on the top of user notification center. 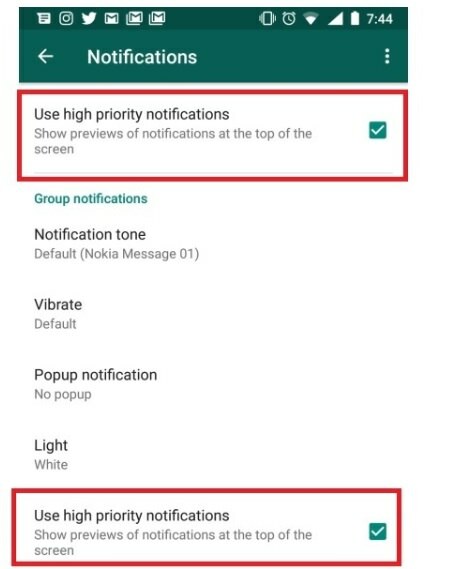 You can enable this feature by checking “Use High Priority Notifications” in the Notification Settings menu. This is something really exciting. This Whatsapp feature will allow you to switch from voice call to video call without any waiting. 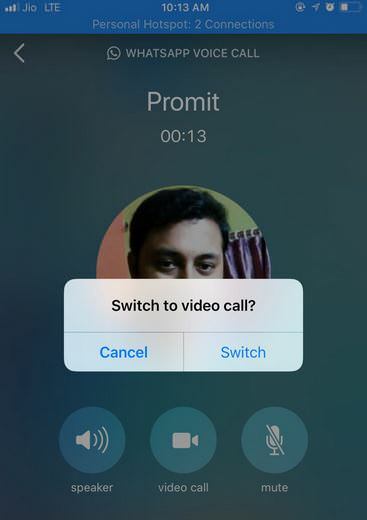 So, now you can instantly switch to video call by tapping the video call button. There is no need to disconnect the call at all. 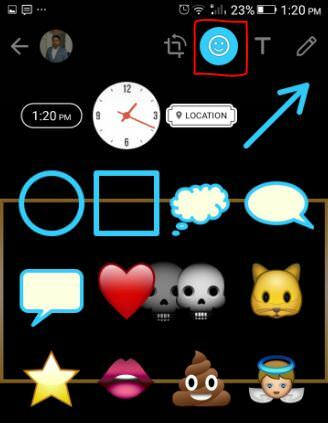 Now iOS and Android users are able to add Time and Location Stickers to the pictures. You just need to pick an image from your gallery and then tap on the smiley options in the application. Here, you will find time stickers, time clock and other stickers. You simply need to tap on the sticker to share the photo with your friends. This feature enables you to re-download old images and videos. With this feature, users will be able to re-download media files, which are old upto 3 months. Whatsapp will save our media on their servers, even if the user has downloaded it. This is an excellent feature to get back the files that you have deleted mistakenly. This feature is available for android users only. You have to download Whatsapp business app from play store. Now, you will be notified in the chat, if the business is verified by Whatsapp. Now you can record long voice messages. You can also swipe up your finger to lock recording so that you can continue recording your voice without pressing voice record option. That is all for today. These were some really astonishing updates that you would love to enjoy with Whatsapp. For more such information, stay tuned!